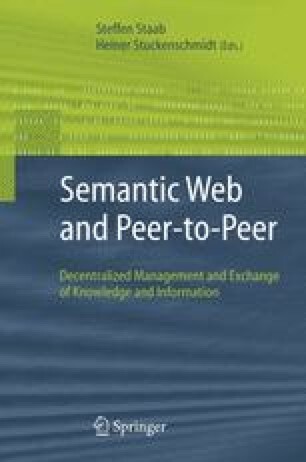 This chapter describes the design, implementation, and evaluation of Bibster, a Peer-to-Peer system for exchanging bibliographic data among researchers. Bibster exploits ontologies in data-storage, query formulation, query-routing and answer presentation: When bibliographic entries are made available for use in Bibster, they are structured and classified according to two different ontologies. This ontological structure is then exploited to help users formulate their queries. Subsequently, the ontologies are used to improve query routing across the Peer-to-Peer network. Finally, the ontologies are used to post-process the returned answers in order to do duplicate detection. The chapter describes each of these ontology-based aspects of Bibster.